Dedicated to bringing you the best lighting control products in the industry – period. 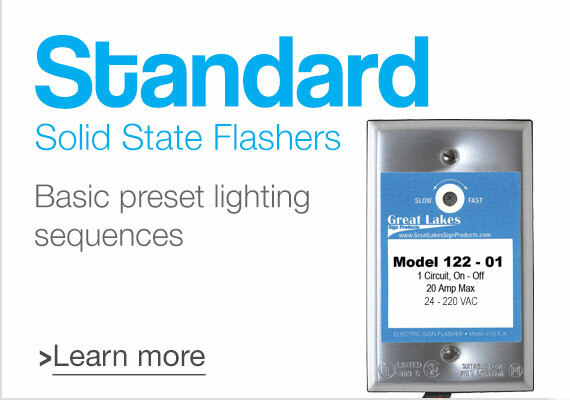 Solid State Flashers from Great Lakes Sign Products (GLSP) provide a combination of reliability and versatility. Offering noiseless operation with no mechanical contacts encapsulated to protected against shock, vibration, and moisture. With high load capacities and superior heat dissipation, solid state flashers are a reliable way to easily handle any flashing and chasing need. 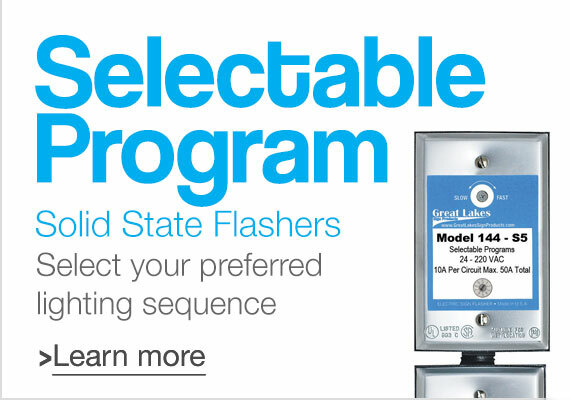 The robust design of GLSP Solid State Flashers lets them provide more amps than industry standards. 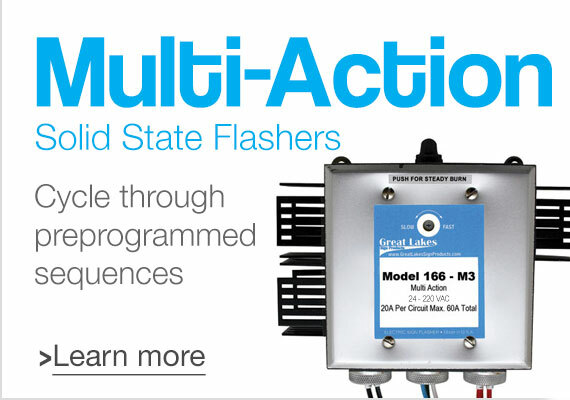 All models have easily adjustable speed controls and most models offer replaceable triacs.